It has been very busy around here at the Berry Patch House. What was left of Hurricane Michael paid us a visit. Lots of my friends had lost power but we were lucky. . . .
just lots of tree debris . . . much more than Hurricane Florence. by the horrific fury of Hurricane Michael. to the High Point Fall Market in High Point, NC. We packed a lot of showrooms in one day. and saw my bed (that is in storage now)! Today is a bit of what I’ve been up to and a winner. 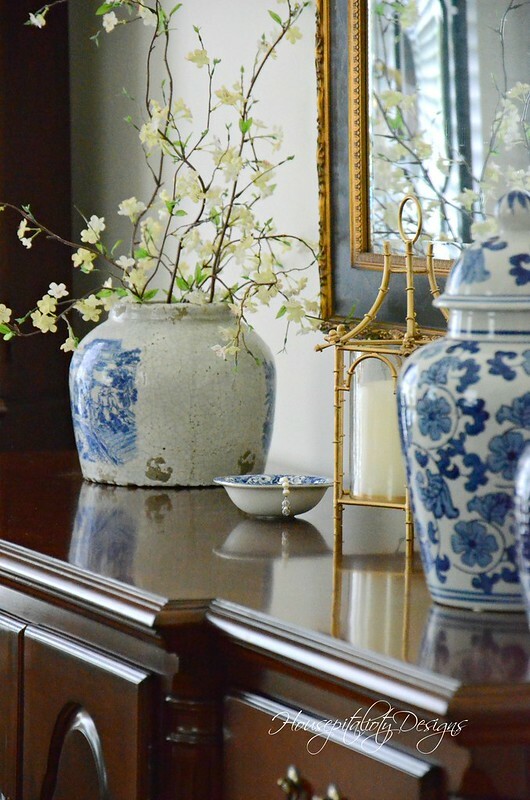 The winner of Nora Murphy’s Country House Style book is revealed at the end of this post. and it does not involve paint. I have just finished creating my floral arrangement of this coming Floral Friday. of the kitchen in the Berry Patch House. 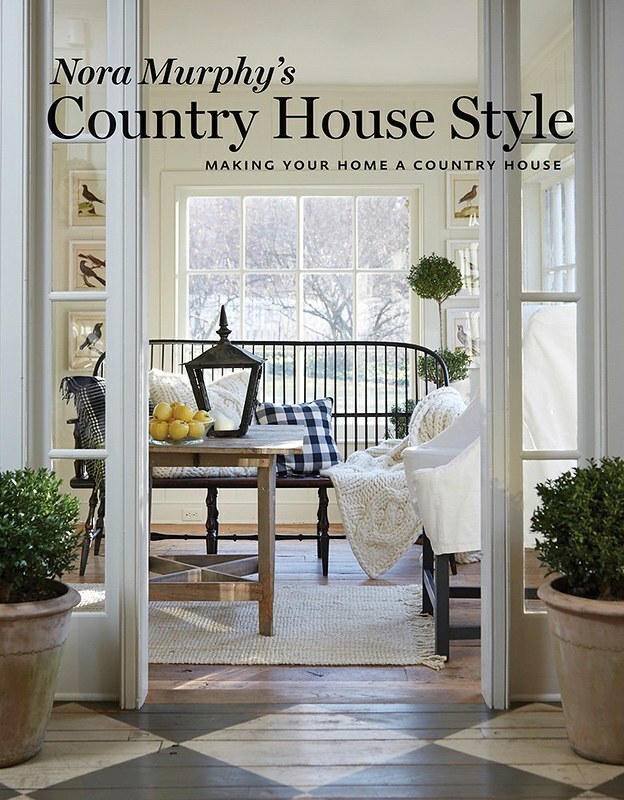 And now to the winner of Nora Murphy’s Country House Style book. The winner is comment #7, Gail H. Congrats Gail! Many thanks to all who entered and be on the lookout for another giveaway soon! Your new bed is beautiful Shirley! Congrats to the winner! I love the new bed you picked out! So pretty!!! 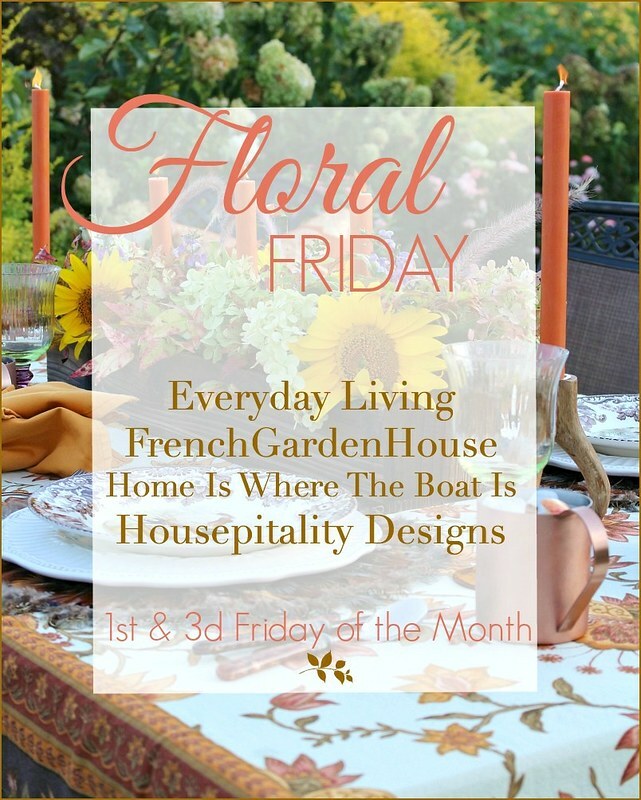 I can’t wait until Floral Friday! Enjoy your day!!! is that a picture of your new bed…gorgeous. 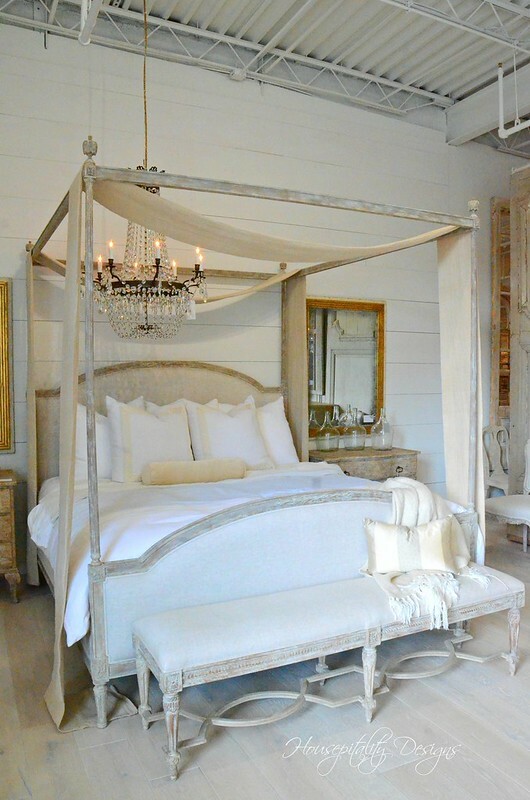 Absolutely love the bed (and the chandelier)! What a gorgeous bed! And I love that store!! I would have drifted through it the entire day! Look the “peeks” and that color of blue! Have a great one! 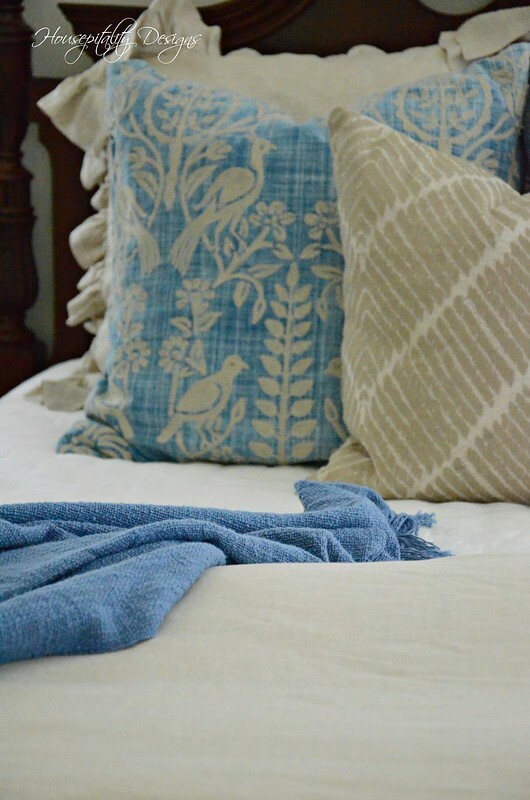 I know you can hardly wait to place that beautiful bed in your new home! Your new bed is beautiful! It seems you are going much lighter in your new furnishings for the new house! Can’t wait to see the master! Love what I see so far:) Have a beautiful evening!!!! Shirley, congrats to your winner. 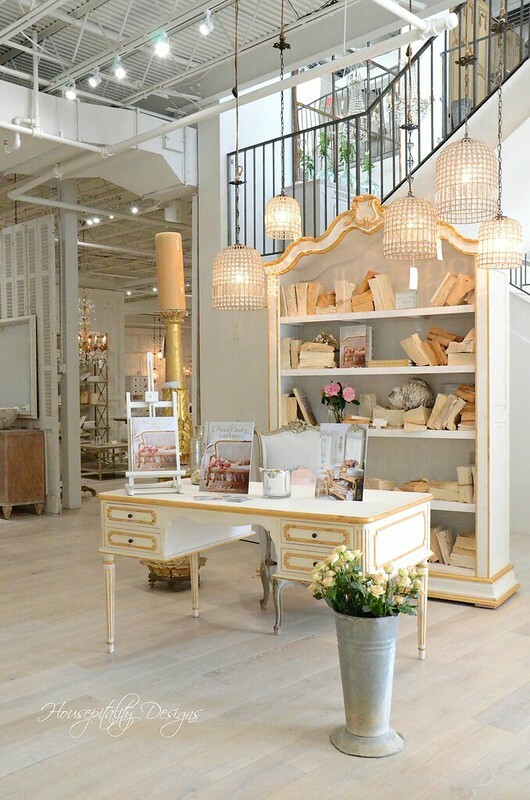 The bed you have chosen is just gorgeous and now you have my curiousity about the furniture that will go to your Sweetie’s room. Looking forward to seeing the Berry Patch kitchen on Friday!